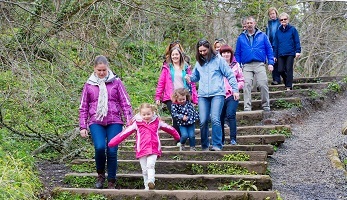 To work in partnership with the Ulster Federation of Rambling Clubs (UFRC) to support and enable accessible and sustainable participation opportunities through walking clubs. Quarterly monitoring of membership numbers and demographics. Active Clubs is an investment programme developed and administered by Sport Northern Ireland, with funding from the National Lottery. Following a successful joint application with the Ulster Federation of Rambling Clubs the two organisations were granted funding of £200,000 for a 4 year period.